The Beauty of Life: Beauty Giveaway: A Clarisonic Mia for You AND One for a Friend! Beauty Giveaway: A Clarisonic Mia for You AND One for a Friend! 'Tis the season for random acts of kindness, right? The Clarisonic Mia is my absolute favorite skincare gadget -- and now I'm giving you the chance to win not only one for yourself, but one for a friend as well! That's right, one lucky winner will walk away with TWO brand-spanking-new Clarisonic Mias in Blue! I'm absolutely thrilled to be partnering with Clarisonic on this very special giveaway, and I can't wait for one of you to experience the absolute amazingness that is the Mia. Here's how to enter! *Get an extra entry for liking The Beauty of Life on Facebook and leaving a comment on the wall that says: "I want to win the Clarisonic Mia for me and [INSERT NAME HERE]!" *Get an extra entry for following me on Twitter and tweeting: "Hey @BeautyChick101, I want to win the @Clarisonic Mia for me and a friend!" Note: You don't need to leave multiple comments telling me you've entered on Facebook and Twitter as well. Rest assured all votes are being checked and counted! One comment here will suffice. Thanks! This giveaway has a $298 value ($149 each!). One winner will be chosen AT RANDOM on Sunday, December 12 at 5pm EST. Maximum of THREE ENTRIES (one for each way listed above). For your entry on this blog, you must include your email address!! Multiple entries will be disqualified. Giveaway is open to US residents only. I'd want to give it to my son so that his facial care could be more complete than it is now. I would love to give one to my best friend of over 14 years. I would give it to my GF because she has to put up with me 24/7. and the other to my momma cause she is the best ever!! I would love to give this to my daughter who is very busy and skincare seems to not be a priority, I think the Mia would simplify that for her. I'd give one to my mom who has sensitive skin and could really use this! I would like to give one to my friend Min, friend since high school. We both have acne-prone skin and scars (I suffer from cystic "fun pies"). We do weekly chemical peel treatments and coupled with winter, that's a lot of skin to be sloughed off. She's in the process of applying to law school and has been neglecting her skin. This would give her a boost of confidence all around! And when she's an attorney one day, she can help me with my yearly speeding tickets. I'd love to give it to my best friend. She just can't stop talking about how she wants one...perfect gift! I want to win the Clarisonic Mia for me and my cousin Muffin because she is a single mom with 2 kids and going to school full time. She deserves a treat! I'd give it to my bestie Cat, who's my beauty accomplice in everything! I would like to win this for me and my mom! She'd love it. I would give this to my mama- who goes into overdrive every holiday season- and helps everyone have a better holiday. She inspires my entire family.Also, I would like to thank her for my great genes. She has a beautiful glow anyway, but this would remind her to take time out for herself. I would love to give this to my best friend. Her senior year of college is really stressful and I think this would make her feel great! I'd give one to my sister. She's worked hard for four years at the US Military Academy, and she could use something cute with which to pamper herself. I want to give the Clarisonic Mia to my sister because she's my BFF and we both have aging skin :) *Thanks* for the giveaway! I would give one to my mother because I think she is so selfless and giving! She works so hard for her family. I would give it to my mom. She hasn't been feeling well lately and I think this would help. I would give the extra to a friend of mine who really enjoys skincare products, but does not have the means to purchase them for herself. I think I may give the one intended for me to another good friend, for the exact same reason - she can't buy the things she wants as she has to financially support her mother. i'd give the mia to my bff. both she and i have been dying to own one of these, but are both a little... strapped... in the financial sector... lol. 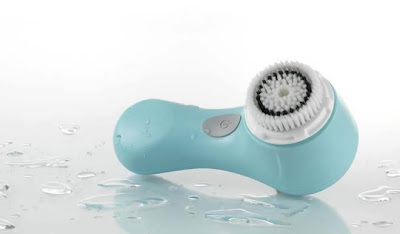 Clarisonic ROCKS and/or ROLLS...its so great I would love th Mia for travel!! My sister needs this. She has 3 sons from ages 6 to 12. She's outnumbered 4 to 1 and the toilet seat's always up. Mahalo! i'd love to give one to my best friend ashley! I would love to give one to my sister. Unfortunately, we were both cursed with no-so-good skin and I know she would be thrilled to have one these! LIKEing you on Facebook and posted on your wall! I would share this with my sister who lives in Arizona and could really use this. The weather out there plays havoc with her skin. My friends teenage daughter would really like this as well as myself, thank you for a great giveaway and a wonderful opportunity to win something so fantastic! I like you on FB and left a comment for you! I'd give it to my BFF, Connie. She has great skin, but we could get together and have a Get Glam party! i'd give one to my momo - she deserves some great skin products! I would give this to my GF who works hard, helps others, and won't take the time to relax and think of herself. Maybe with this gift, she will!! I would love to give a Clarisonic to my sister! She recently had Shingles on her face. It was a horrible experience and she now has some scars. A Clarisonic would pamper her a little and perhaps even lessen the scars! Aside from using it myself, I would love to gift my older sister. She has always been generous with everything she has and never asked for any thing in return. I think its' time for her to have a little pampering. I would give one to my mom and one to my sister because i already have one myself and I'm constantly raving about it to them! I would give the gift to myself. I am not so young anymore and my skin could use the help. I would like to give it to my wife. While I have been deployed she has take care of the house and are two kids. We recently had are anniversary but could not make it back to the states in time to celebrate it with her, and for this I also think she is well deserving for the gift. Definitely for my grad school BFF, J.H. I miss her terribly! I would like to give a Mia to my 13-year-old niece so she can learn to take care of her skin at an early age. I'd give it to my brother, he's been battling acne since he was in high school he's 26. I'd give one to one of my friends who gets breaks outs a bit. I would love to win this for myself and my friend, Erin! She is an adult survivor of congential heart defects, and spends a lot of her time bringing awareness to the disorder and organizes events and toy drives for kids with CHD. She deserves it! If I won I would give one to my daughter. She's just beginning to take skin care seriously and this would help her skin which is getting congested and needs a deep cleaning regularly. I know she likes this size too. Thanks! I like you on Facebook and left the comment. I would give the Clarisonic Mia to my mom. She is such a selfless person and has made so many sacrifices for our family. She rarely treats herself to anything and has been feeling self conscious about her skin as she ages. I think she would absolutely love the Mia! I would love to give one to my Sister in Law Gail. She's such a caring and giving person, Mom and step Mom to 7 children and still finds time to be giving to others. It would be nice to surprise her with something for herself. I would give this to my mom as she has been wanting one. I would give one to my younger sister who is pregnant with her third child and so needs the pampering. I would give it to my niece,she deserves a break. I would love to win this for myself and my mother. My mother deserves a MIA. She's been working hard all her life to raise me and my brother. She totally deserves a little pampering! I'd give it to my best friend because she's been wanting one for so long! I would really LOVE to give this to my mom! She keeps using costly ways of trying to add youth to her skin and personally, I think it ends up looking worse each time. I would love for her to try something more natural. This would be the perfect gift for her! I left my comment on facebook as Jennifer Fontaine Rankin, I'm the idiot who messed the wording up a bit! I follow you on twitter and tweeted @wildflowerwax! I would love to win and give one to my cousin. She a teacher, and a really good hearted person. I would for her to be able to treat herself to something nice. to my mom who has amazing skin (with no cosmetic help) at the age of 64. I'd like to give this to my sister because she's always wanted one. I would love to give one to my best friend Elise. She's very frugal when it comes to beauty and I think it'd be a great gift for her to pamper herself a little bit! I would love to give this to my daughter who has problems with acne. I would really like to give the Mia to my daughter. She is a teenager and does not keep up with her face like she should. I think having something like this would help her have more fun washing her face. I'd want to give the Clarisonic Mia to my mom because she's 75 and looks amazing. This would help her look more amazing. I'd give it to myself, my skin needs help! I would give the Clarisonic Mia to my sister who is 46 years old and 8 months pregnant. She is a bit stressed and could use some pampering. i'd give it to my best friend - she has a 2 yr old, 1 yr old, and is due in may! I would like to give one to my friend Sam because she needs a special pampering treat. Would make a great gift for my Mom bc I know she would not buy one for herself. I would give a MIA to my 14-year-old daughter. She's learning to take good care of her skin early. Wow, I would LOVE to win this for my mom. She has a thyroid condition that makes her skin dry and also gives some facial redness. She recently saw the Clarisonic Mia in the Sephora holiday catalog and was asking me some questions about it and I think she'd LOVE it. Thanks so much for the chance! I would like to give this to my brother who has been fighting acne. I would love one for my Mom, she certainly deserves a wonderful treat to make her skin glow! Thanks for the great giveaway! facebook fan of the beauty of life and left a comment. amy bolda pugmire. I would like to keep it for myself. I don't have the best skin, it tends to be prone to breakouts. I really think this could help. I'd give the other one to my sister- we sort of have a running contest to see whose face looks younger, this would be a nice truce. My Mom & I would love to win this!!! My sister or daughter would love this. the most selfless person I know and has always wanted a Clarisonic. In fact, she was just talking about maybe getting the much cheaper version of a facial scrubber because it's all she can afford. I would flip to be able to surprise her with the real deal! She would be ecstatic!! I'd love to win one of these for me and my mom. We were talking about these a few weeks ago and we both heard really good things about it, but it's a bit out of our price range, but I know she would really feel good about herself if she got one and could use it for her complexion, and so would I. If I were to win this, I would love to share it with my roommate. She is a fourth grade teacher and so far has had one hell of a year. She never treats herself, and I can't think of anyone who is more deserving of a gift like this. I would definitely give one to my mom. She loves beauty products and is always generous in sharing good finds with me. She would love this! I'd give this to my daughter. She's a hard-working single Mom and certainly deserves some pampering. I would give it to my mom because she does so much for others and could use a little pampering for herself. I'd love one of these for myself and also my mom. She's my best friend and it'd be nice to give back to her. I would give the other one to my oldest teenage daughter who is having a horrible time with acne. I would give it to my bf. She has had some troubled skin all her life and I think this would really help her improve it. I would give it to my daughter because she is such a girly girl. My sister! We have the same skin: oily, pourous, with surface dryness. We could both benefit from a Clarisonic. I would love to give it to my mother because although she never has much money, she ALWAYS gets us a little something for Christmas no matter what and I think that this would be a great way of me showing my appreciation for everything she does for me and my siblings. Thanks so much for the opportunity :o) ! I would love to give a Mia to my mom since she has always done so much for us and does very little to pamper herself! 1. I would want to give this to my little sister because she has been having a lot of trouble with her skin and it would make a great Christmas gift. 2. I like The Beauty of Life on Facebook and left a comment on the wall that says: "I want to win the Clarisonic Mia for me and sister!" 3. I follow you on Twitter and tweeted: "Hey @BeautyChick101, I want to win the @Clarisonic Mia for me and a friend!" I would love to win a Clarisonic Mia for my sister-in-law. She has been my rock while my husband has been deployed and when I recently had to put my dear cat to sleep, she helped me to bury him. That was a very hard day and I was so grateful she was there to be with me. She is also caring for her husband who is in the early stages of Alzheimer's and I think this Mia would help brighten her day. Thank you! I like you on facebook (ChristineFidance) and I posted on your wall. I'd give it to my best friend, Amy, because she's been my rock through this bumpy last year. I would give it to my sister because she just moved across the country and it would be a nice gift to let her know we miss her. Hi there! It would be amazing to win one of these bad boys for me and my mom! We live a few states away from each other and I don't get to hang out with her much...but it'd be super fun to be able to give her a Clarisonic Mia to enjoy this winter :) I followed and tweeted too! I like you on Facebook (username: Les Cerises) and posted on your wall: http://www.facebook.com/permalink.php?story_fbid=473345928121&id=134080178121. I nominate my mom, she never has the time to take care of herself. She works the graveyard shift at a lab. They work her like a sweatshop. It's taken a toll on her and her face shows it. I would love to get this for her so she can feel better about herself. I am 29 and she's told me since I was 12 that I needed to take care of my skin because it'll pay off in the future. She's so right. I nominate my BFF Tina Fergie Ferg. This girl makes me laugh through my sadness, she's been through the tough times and good times. She's been there through my boyfriends, miscarriage, everythign you name it. She doesn't like to be touched so no manicures, pedicures or massages. This girl is crazy. I love massages. So if I can get this for her, she can take care of her skin and her mug! She's a mommy of 4 (2 are step) she's barely 30. She has to deal with teenager drama, ex wife drama, etc. I don't know how she does it. She may be 98 lbs but this girl is STRONGER than anyone I know. I'll share this gift with my BFF Marian, who has been talking about the Clarisonic for quite a while now. She's a skincare guru, and since she works with autistic kids all day, she deserves a treat for herself. I would like to win one for myself and another for my best friend. She needs a confidence boost after her recent divorce and a little pampering would do her worlds of good. Thanks so much for all of the wonderful entries -- keep them coming! Just a note: You don't have to leave multiple comments telling me you're following me on Twitter/liking me on facebook. I will see the likes and follows, so just one comment here will suffice! Thanks so much! I have been wanting to try this. If I won I would give the other one to a co-worker who's going through a tough time right now with her sister dying of cancer. She needs some pampering. I would like to nominate my brother because has been suffering from adult acne breakouts recently. I know he tries his best to take care of his skin in the best way he knows how, but I would love to see if this product can actually make a difference in his skin. Since clarisonics are slightly pricey he hasn't made an investment in it and I would love to surprise him with an awesome blue mia! I would love to see him smile again with a new confidence from his clearer skin. thanks! Like Deepthi, I have a brother with adult acne problems who could use this. It would be a huge help to have one for my own skin too. I would give this to my best friend who's a mommy of 2 and 2 step kids. She never has the time to pamper herself. My kids have been wanting this so I would give it to them. Thanks! I would love to give it to my mother, this is something she would never buy for herself, but she would use it & love it! I like The Beauty of Life on Facebook and left a comment on the wall that says: "I want to win the Clarisonic Mia for me and Pat!" I would give it to my brother who struggles with acne, thanks! I'd love to give this to my daughter, because she would love this for Christmas and she's a teenager! I would like to give this to myself because my skin is dry and could use some TLC. well, of course i really would love to have one, but i thinkl my mom would just love a bit of luxory skin care,too. we have more of a noxema budget! I would give the "friend" Clarisonic to my friend, Michelle. We're the same age and very similar skin types and I know we'd both get a lot of benefit from using the Clarisonic Mia. I would give it to my sister. She has wanted one of these. I would give this to my sisters. She has been wanting one. I would love to give one to my sister. she is a grade one teacher, and helps and gives to everyone. I would love for her to pamper herself for once! like beauty of life and wrote on wall! I'd give one to my mom, who continues to take care of our family when we need her. She would love to have special treatment for her skin. I would give this to my neighbor because she deserves to be pampered. Thanks for the giveaway. This is for me and my friend Carmen because her skin is bad. I would give it to my mom--she deserves to be pampered! I'd give the clairsonic to my mom since she got me into beauty products and we are always looking to try new stuff out. I'd give it to my niece who just found out she is pregnant with her third baby and is starting to break out. Thanks for the awesome giveaway! I would give it to my daughter who is away at college and would love one! This would be perfect for my daughter and for her daughter. I would give it to my mom because she deserves to be pampered a bit! I would give to my sister who is the backbone to our family and could use some TLC.